The Arts Desk critic Aleks Sierz calls The Red Barn a “superb adaptation of a Simenon thriller”. 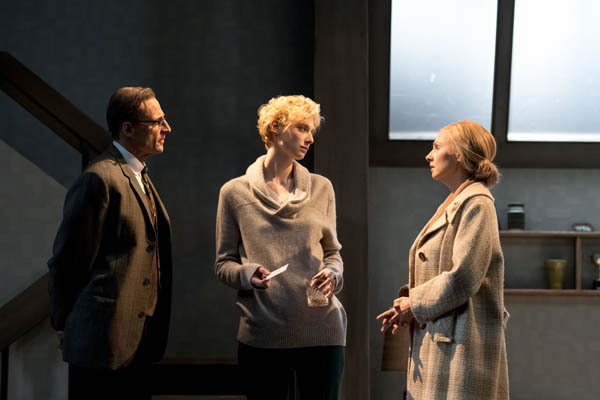 “There’s a real sense of revelation as the evening progresses” says Sierz of Sir David Hare’s adaptation, after the play debuted at the National Theatre on Monday 17th October. The review goes on to describe the play as a “superbly compelling production”, and one with “the power to surprise at every turn”. 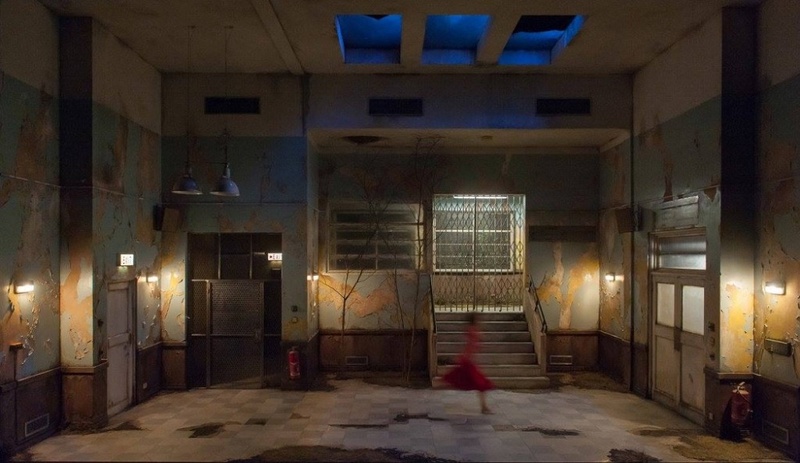 Having attended the opening night of the play, The Independent‘s Paul Taylor pronounces that strong performances from an enviable cast render The Red Barn “a taut, compelling and psychologically acute stage version of La Main”. 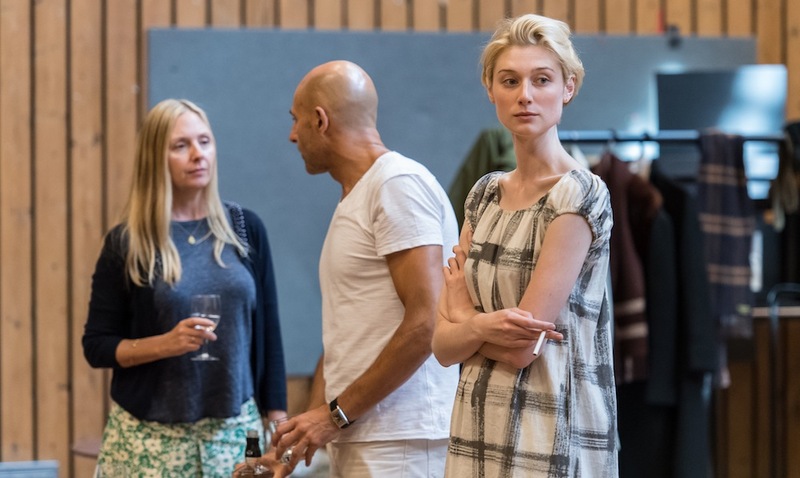 Of the cast, Taylor notes that “The impossibly elegant Elizabeth Debicki […] exudes, like an expensive perfume, the emotional carelessness of the privileged”, while Mark Strong “excels” in the role of Donald Dodd. 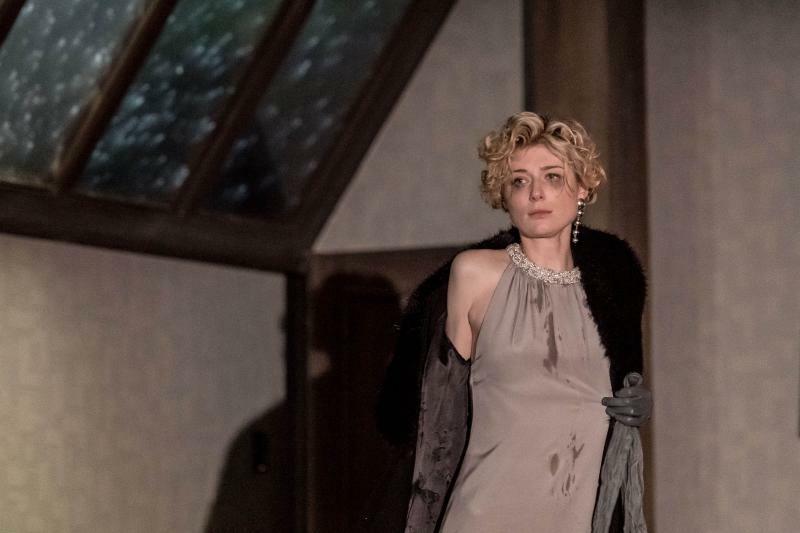 Adding to the plaudits heaped on Sir David Hare’s adaptation of La Main, Kingwill states her belief that this is “a thriller that would make Hitchcock proud”. The review compliments the director Robert Icke’s “cinematic approach” , adding that Mark Strong “gives one of the performances of the year”. Quentin Letts revels in the opening night of The Red Barn, a theatre adaptation of Georges Simenon’s Le Main at the National Theatre. 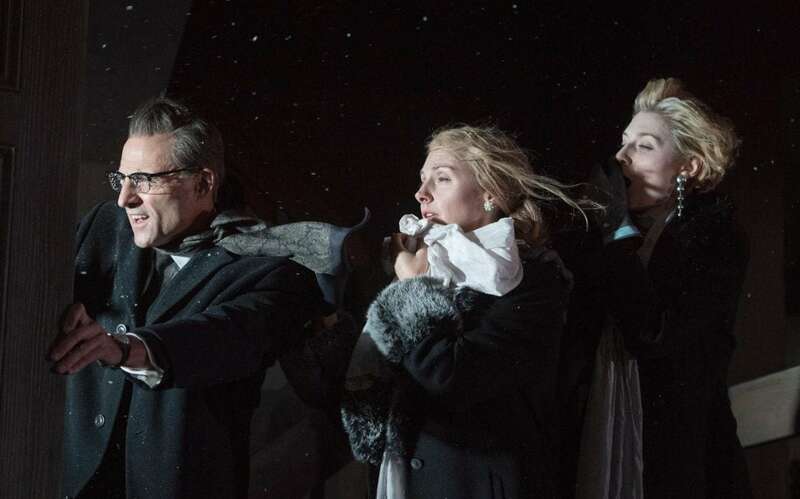 Letts’ review highlights Elizabeth Debicki’s compelling performance and Sir David Hare’s tight script, saying of THE RED BARN: “Filled with tension, this chiller thriller’s ice-cool”.